Certified Financial Planner Board of Standards Inc. owns the certification marks CFP®, CERTIFIED FINANCIAL PLANNER™ and in the U.S., which it awards to individuals who successfully complete CFP Board’s initial and ongoing certification requirements. John R. Heise, Registered Principal, Securities offered through Cambridge Investment Research, Inc., a broker-dealer, member FINRA/SIPC to residents of CT, IL, MA, ME, NH, RI, and VT. Investment Advisor Representative, Cambridge Investment Research Advisors, Inc., a Registered Investment Adviser. 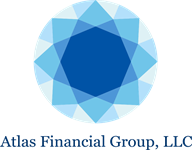 Cambridge and Atlas Financial Group, LLC are not affiliated.